UNESCO is launching the call for nominations for the 2018 edition of the UNESCO King Hamad Bin Isa Al-Khalifa Prize for the Use of Information and Communication Technologies (ICT) in Education. Funded by the Kingdom of Bahrain and established in 2005, this year’s Prize will recognize projects and programmes that leverage innovative technologies to ensure education for excluded vulnerable groups. For the past years, the Prize has been promoting the use of new technologies to expand educational opportunities and increase access to quality education for vulnerable groups impeded by cultural and economic barriers, personal disabilities, gender inequalities, and/or crisis-affected situations. 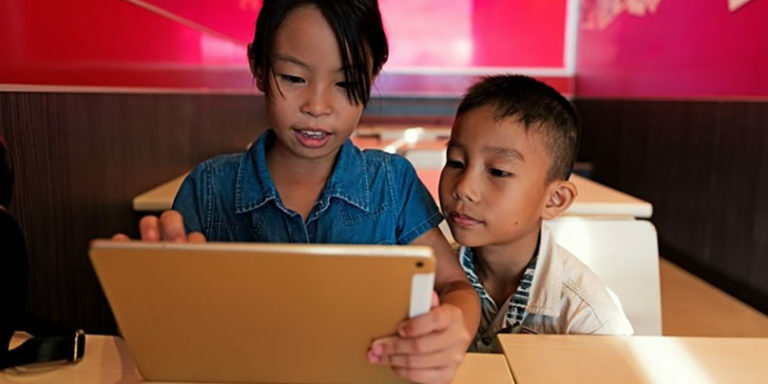 Indeed, ICT have a great potential to enable cost-efficient solutions to address these barriers, so that everyone can fully enjoy their right to education. This year the Prize will highlight projects that use integrated solutions that blend commonly used technology with frontier ICT applications, such as breakthrough technology to overcome infrastructure barriers; solutions to reduce the cost of access; online learning innovations; intelligent learning management systems; machine translation; big data; and imagery technology.The theme of 2018 Prize is “The use of innovative ICT to ensure education for the most vulnerable groups”. Two awards will be granted, and each recipient will receive a monetary award of US$ 25,000 during the Award Ceremony at UNESCO Headquarters in Paris. Individuals, institutions and non-governmental organizations are invited to approach the National Commissions for UNESCO of their countries or NGOs in official partnerships with UNESCO and complete the online submission form. Governments of UNESCO Member States and NGOs maintaining official partnerships with UNESCO are encouraged to select the best projects and submit up to three nominations. A self-nomination cannot be considered. Submissions and nominations should be received in English or French via the online nomination platform. New users should first register. For more detailed information on eligibility criteria, submission and nomination process, please visit UNESCO ICT in education Prize website. You will find also FAQs, information on previous laureates and international jury panel. The deadline for the receipt of nominations is 31 October 2018.